I had the good fortune to try out an Esterbrook for the better part of a week and have really taken a liking to it. It led me to purchase a couple, though only one is in hand at this time. As far as I can tell, based on the spade shaped lever, it is an early LJ Double Jewel instead of a let model with the spoon lever. The imprint has the ® mark after Esterbrook, suggesting it isn't the earliest of pens. I am trying to get a handle on the different varieties of J Series pens and pencils. 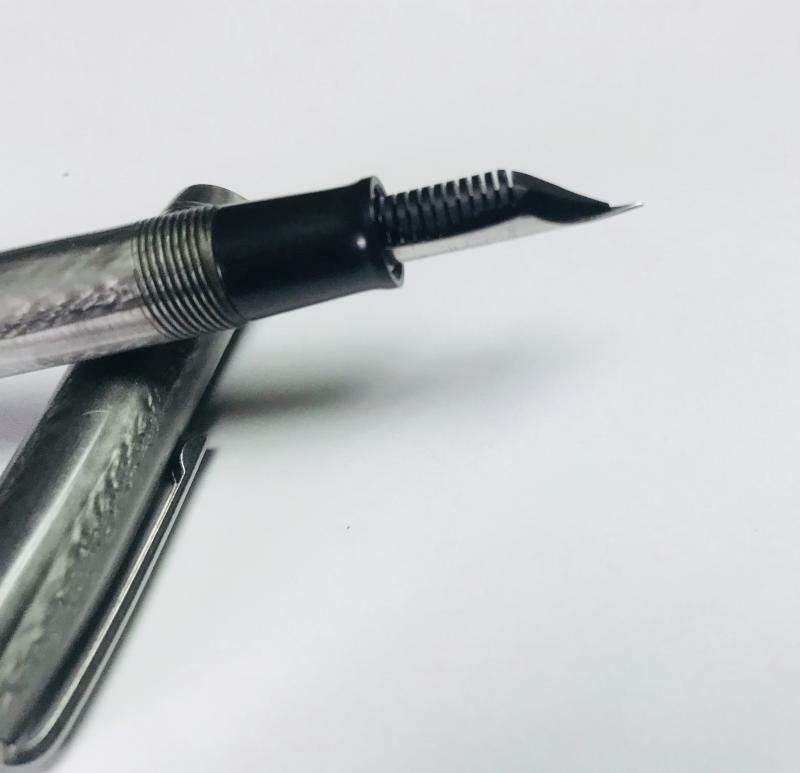 There seems to be a significant amount of information regarding the Fountain Pens, but information on ball-point pens and pencils has proven to be really challenging. I would like to learn more about the B, A, and H "Dollar" Esterbrook pens and pencils. Were they labeled as something more than B, A, or H, based on color, pen/pencil, or something else? I have read most of the information on esterbrook.net and richardspens.com. Certainly, I would appreciate being pointed to any additional references and resources. An Esterbrook "J" with a 9788 nib was my first foray into pen collecting. You need to be careful, they tend to multiply rather quickly! No kidding. When you can match the pen to the ink...and do so with different sizes. Then of course, the different nibs and it's like instant trouble that cooks faster than microwave ramen noodles. tincansailor is right. Esties are like potato chips -- you can't have just one (I think my current count is 15 or 16 -- although not all are working yet) plus some extra nib units. Is there a source for parts such as clips and jewels? If they are prone to multiply, rescuing and rehabbing might offer more ownership for me. Check with Gary Weimer [gweimer1]. Also check with Anderson Pens (I've bought replacement sacs from them). I used a PVC sac to replace a sac in a late model LJ that looks like woodgrain. Works fine. PVC is what is used in Parker 51s. The long lived sac. Sac has been in the pen for about six years. Thanks, I send him a PM. I did order more than a few from Anderson Pens. Spending more on shipping than a part is pretty much a bummer. Appreciate that. I'll have to look into that for future options. I'm sure that others must have more information on ballpoints and pencils than I do, but I have seen a couple of advertisements dating from 1956 that show the FJ ballpoint and the K ballpoint and the writing says that these are available in colors to match the fountain pens. I think that the K series was later renamed Deluxe. Thanks. I have a Dollar Pencil, but it appears to be a middle or second Type based on the clip, which is a narrow 2-hole, but smooth, curved clip. My assumption is the pencils will match the pens from each period. If Esterbrook was making pen/pencil sets with the Dollar Pens, would it be fair to say the pencils also match the Pen years of manufacture? There isn't much info on the later ball point and Flo-Master felt tip pens. You can see some good photos at http://www.esterbroo...flomaster.shtml. Part of that is because old Esterbrook ball point pens can't use any modern refills without a specially constructed converter. 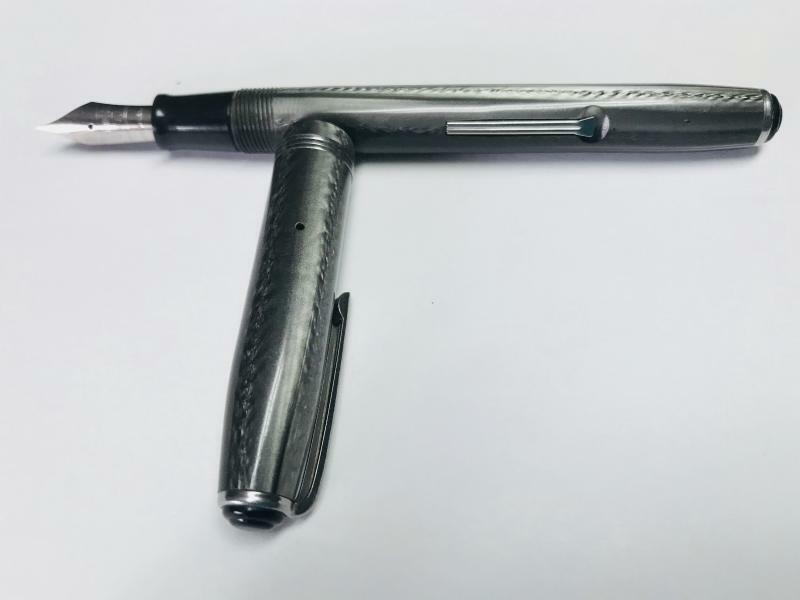 So, after you've collected all of the variations of the fountain, ball point and flowmaster pens, then you'll need to start on the original Esterbrooks, the ones that started it all, the dip pens. Esterbrook pens are so popular at least in part because they never forgot how to make a really good nib. It was in their DNA. I think the popularity was mainly due to the affordable price. I don't think most buyers knew enough to assess the quality well. Of course buyers knew enough to assess the quality. Good quality holds up. Price certainly had something to do with it. Esterbrook fans sure do love their pens. I got a copper/root beer J a while back that I still haven't tried. You've inspired me to dig it out and use it. I will not chase after the huge variety of nibs. I will NOT. Will I? Buyers then were everybody. You give them too much credit. Price. My grandmother left a desk drawer full of new Esterbrook nibs in the little green and black boxes. There were no pens. They didn't last. Her comment. I would guess the average user must have run them into the ground. Most people are fairly insensate using equipment. They lack understanding and finesse. These were everyman's pens, and they served their purpose as well as the company could have foreseen. Most people ruin ballpoints, a much simpler pen. I think the Esterbrooks generally have a certain robustness. I think you have overthought people assessing quality. People here would know enough to make that kind of assessment. Average person rates based on past performance or friend's recommendation. Esterbrook pens and the nib system were a well thought out system. The company gave options. Most people I knew back in the fifties used a simple pen and abandoned them when ballpoints became widely available. A lot of beer drinkers have a higher level of appreciation of the brew than people in the fifties had of a fountain pen. I think you have overthought people assessing quality. Who, me? You're too kind. If anything I underthought it. My comment was meant to represent the notion that good quality products will sometimes become popular, whether or not each and every consumer appreciates that quality. I don't know if this was true with Esterbrooks, so I was speculating. Edited by Manalto, 20 August 2018 - 20:03. We who understand pens and care about them will apreciate the quality. That's about as far as you can go. The Economics of the Esterbrooks are pretty strong.